Friday finished with a bit of a whimper. After a long week I had great plans on a Friday night of comfort food, a glass of wine and listening to the Cheltenham game online. When I arrived home, I ensured I had everything packed for Saturday’s trip to Gloucestershire and then retrieved my laptop from it’s case. While waiting for the commentary to start, I started cooking, grabbed a Friday night treat of a glass of Cab Sav, courtesy of Jacobs Creek and played a few tunes on my guitar to help me to relax for the weekend ahead. About 15 minutes into the match, I received a phone call from a friend at my Rowing club asking if I was free in the morning as they needed a Cox for racing in the Huntingdon Head of the River. To be honest, my first thoughts were that I would miss my lie-in (had to be at the club for 0730), but I agreed enthusiastically, realising this was a good chance to be back in a boat. The rest of my evening consisted of shouting encouragement for Cheltenham as they secured another win against Accrington Stanley (match report) and looking up the course map for the race. At this point I should point out that, as I live in a top floor flat, my neighbours are very understanding. Saturday morning’s start was painfully early. The alarm going off just an hour later than in the normal working week, left me with dark thoughts toward the cheery way I’d agreed to be part of the squad for the race. I reluctantly left the warm confines of my flat and drove to the rowing club in St Neots. We left in convoy to Huntingdon to meet the boat trailer. When we arrived it was beautiful. Not a breath of wind, the air crisp and full of anticipation of the day ahead. The sun was streaming through the tree’s and the reflection from the water was magical. People started to arrive and the barbecue was fired up next to the boat house. St Neots had all four crews racing in the first division, two men’s and two women’s fours. There had been a late crew change for our Novice women which required a status change, but once that was all finalised and the boats rigged, the crews began their warmup and the coxwains began the process of putting on as many layers as we could find! Although not as cold as the Cambridge Winter League in March, it was still bitterly cold. The division started at 1000 and as such we had to be on the water and heading for the start by 0900. The 4km course has a number of difficult bends and is very narrow in several places. I made a mental note of where I would need to make calls to drive the crew on and sections I would need to be careful on, when taking the bends. One crew member’s tip to me was to take the bends like ‘a racing driver would’. An interesting way of looking at steering a 4+ along a river. When the race got underway, my nerves evaporated. I had a very unsuccessful attempt at parking the boat at the start but this was where I come into my own. The crew went off fast and at a good rating, quickly catching and over taking the single scull ahead of us. Then, at the narrowest part of the river and on the sharpest bend, a mens coxless Quad attempted an overtake. I positioned the boat as best I could and with full lock on the rudder I had to get stroke side to pull on as hard as they could, while bow side lightened off to ensure we missed the moored boat, the bank and the other crew. We had inches to spare. Straightening up, I was determined to not let the Quad leave us behind. The crew pushed on and we were still in sight of them at the finish. Crossing the finish line, we came alongside the Quad and the men thanked us and complimented us on how we’d given them a good race. I was thrilled. The crew however, had an almost disappointed air about them. It hadn’t been the best row, but the worst stroke of the race was taken literally on the finish line and for a scratch crew, I thought they did brilliantly. Trying to land the boat turned into a logistical nightmare. One landing stage, 30+ boats and a marina to navigate around. We were holding on to two boats when trying to land and when I jumped out of the boat, I nearly careered straight over the landing area and into a small section of river the other side! Once we’d retrieved the boat from the water, we all caught up with the other crews to hear how they’d got on. My near miss with the Quad seemed tame compared to the other men’s crew. They’d had two accidents on the way down the course! Sadly despite this, they were still 25 seconds faster than my crew. After 10 minutes or so, I gathered my things together as I needed to get going back to Gloucestershire. As I was saying my goodbye’s and wishing everyone the best of luck for the rest of the day, one of my crew came over with a smile on his face. It looked like we were the fastest IM3 4+ in the first division! Later in the day I had a text to confirm that we’d won and I had a Pot. My first ever Pot for a race. I always felt I wanted to get that first Pot for a race I’d actually rowed in. But you know what? As a cox, the work you have to do to concentrate and get those lines right, is just as hard as rowing flat out for 4000 metres. Hopefully, come sprint season I’ll have another Pot to add to it, this time for the work I do with an Oar, rather than the rudder. 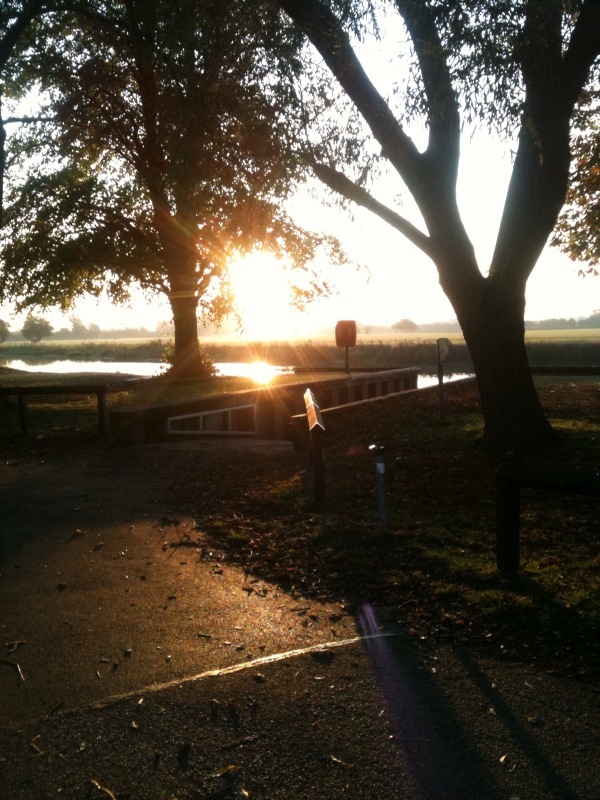 Posted on 23/10/2011 23/10/2011 by Jemma PhillipsPosted in RowingTagged Huntingdon, Rowing, St Neots. Previous Previous post: I should be dancing… Yeh….